Best-Selling Author, Film Producer and vocal female empowerment champion, Twinkle Khanna took part of prestigious panel of “girl power” change-makers at the annual international Women’s Entrepreneurship Day [WED] event, which convened at the United Nations in New York City on Friday, 17th November 2017. 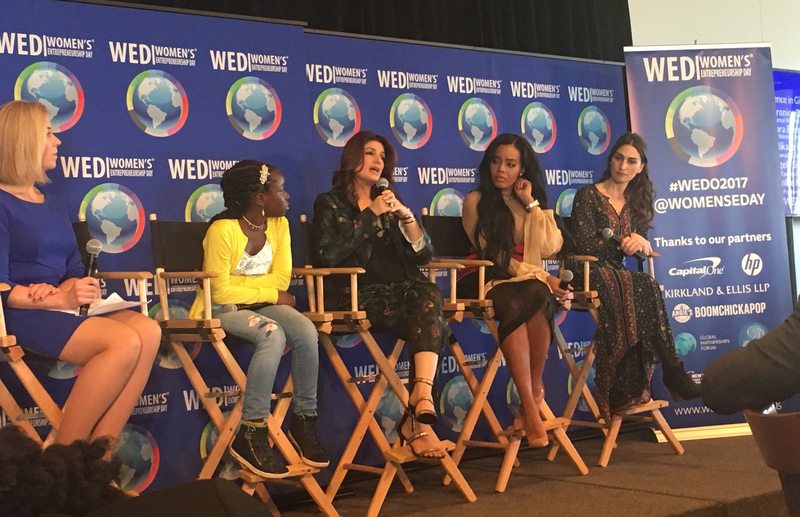 Held to empower women and girls globally to help alleviate poverty, WED curated the Sparking Confidence in Girls with Stars of Today panel, which saw Twinkle Khanna join discussions with other eminent personalities including Sara Bareilles, Singer, Songwriter, 6-time Grammy Nominee, Broadway Musical Writer/ Composer “Waitress”, Mikaila Ulmer, 12 Years Old, Founder Me & the Bees Lemonade & Successful ABC Shark Tank Contestant, Angela Simmons, Founder/Designer Foofi and Bella, Editor Angela’s Rundown, Star WE TV’s Growing Up Hip Hop and MTV’s Run House, Philanthropist. The panel was moderated by Veronica Dagher, ‘Secrets of Wealthy Women’ @WSJPodcasts and Wall Street Journal Wealth Adviser Reporter. In an event replete with a host of high-profile attendees such as the CEO of Beauty Evolution, Bobbi Brown, the First Woman Television Producer in the US Lucy Jarvis and one of the Board of Directors of UN Women For Peace Association Muna Rihani Al-Nasser, Twinkle Khanna shared her inspirational thoughts on the key aspects to overcoming female oppression in industries far and wide to ensure that all have the equal opportunity to become successful. “Secondly, trust your instinct! Your instinct is an amalgamation of all your experiences and information you have gathered which sit in your subconscious; they’re neurons rapidly firing together acting on the knowledge you have accumulated that is speaking to you” she added Twinkle Khanna. A serial entrepreneur, Twinkle Khanna’s latest role is that of Producer for ‘PADMAN’ – the world’s first feature film on menstrual hygiene releasing in cinema’s around the world on the 26th of January 2016. PADMAN stars one of India most high-profile stars and renowned change-innovators, Akshay Kumar, who plays Arunachalam Muruganantham – the man who created the sanitary napkin revolution in India by inventing a machine to make low-cost sanitary pads. 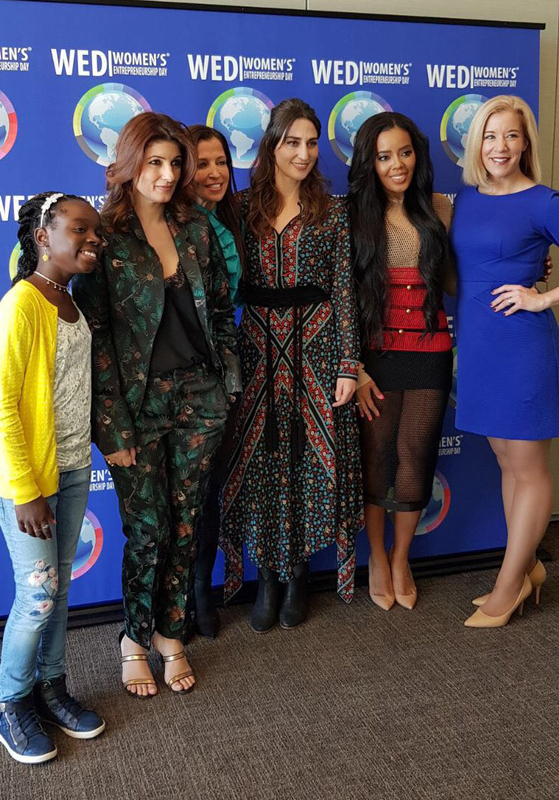 The film, which is sending shock waves around the globe as a result of its bold endeavours to banish the stigma attached to female menstruation, is the latest of Twinkle Khanna’s hard work to raise awareness of female oppression. 16 queries in 0.660 seconds.